The Whale Trail is a series of sites where the public may view orcas, other cetaceans and marine mammals from shore. Along the Whale Trail you’ll be looking over the waters of one of our nation’s most spectacular marine protected areas, offering some of the best wildlife viewing in the world-including 34 species of marine mammals! Search for the heart-shaped blows of gray whales, tall dorsal fins of orcas, or feeding humpback and blue whales. Look for seals and sea lions on offshore rocks and sea otters wrapped up in kelp. You can see amazing marine life at the Whale Trail’s shore-based sites at any time of year. The Whale Trail’s Mission is to inspire appreciation and stewardship of whales and our marine environment by establishing a network of viewing sites along the whales’ trails along the Salish Sea and the Pacific Coast. 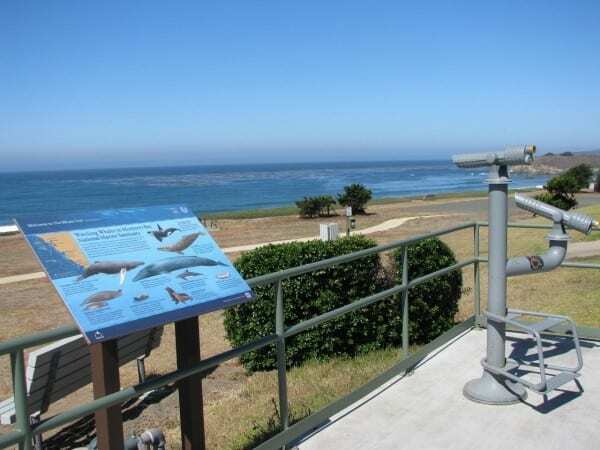 The Whale Trail is located at San Simeon State Park on Moonstone Beach Drive and is supported by VisitCambria, California State Parks and Highway1DiscoveryRoute. To learn more about the Whale Trail, check out this video, listen to the interview here and read this Pasadena Independent article here.